Yahoo is hacking out more wiggle room for Verizon. The beleaguered internet firm waited until the day after the U.S. election to reveal a hacker’s July claim to have certain user data. That’s when it inked a $4.8 billion sale to the telecommunications giant. The latest hit to Yahoo’s reputation gives Verizon extra firepower to snag a better deal. The company led by Marissa Mayer said in a regulatory filing late Wednesday that it investigated the data thief’s allegations and found it could not substantiate them. The time frame, though, only begs more questions. Yahoo agreed to sell its advertising and search units to Verizon on July 25. At the time, the company noted there were no material adverse effects on its businesses, although certain language in the merger agreement addresses security breaches and unauthorized access that gives Verizon a degree of protection. Then in September Yahoo dropped a cyber bombshell by admitting that certain information was stolen from at least 500 million user accounts in 2014. That prompted Marni Walden, Verizon’s president of innovation and new business, to stress that the company would “protect our shareholders and our investors, so we’re not going to jump off a cliff blindly.” Now it turns out that Yahoo discovered the huge breach after it started an investigation to delve into the previously undisclosed July allegation. Yahoo stands by its statement that the breach of 500 million accounts has not had a material effect on its business. That said, the company has “subsequently incurred expenses” related to the hack and it expects to incur “investigatory, legal, and other expenses” associated with it in the foreseeable future, the filing points out without providing a figure. Both sides are already in talks to try and determine how much this has hurt Yahoo’s value, never mind its ever-dwindling reputation. Wednesday’s revelation should give Verizon an additional cudgel at the negotiating table. 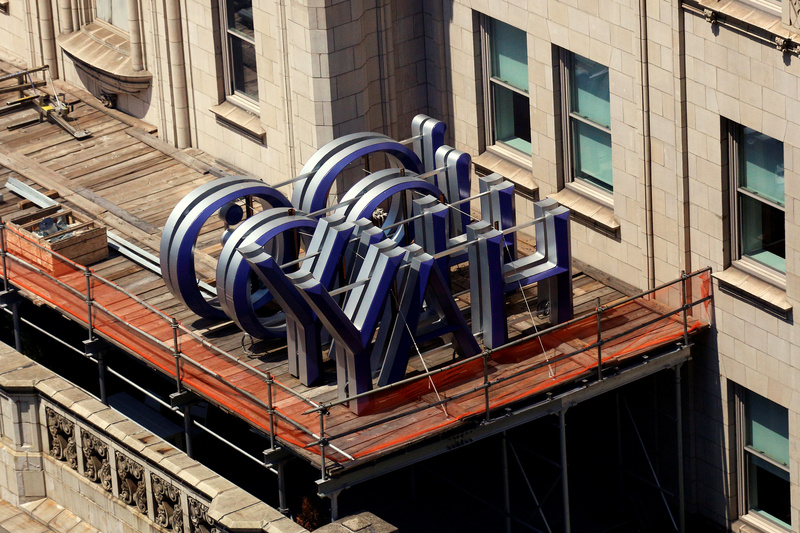 A Yahoo logo is seen on top of the building where they have offices in New York City, U.S., July 25, 2016. Yahoo on Nov. 9 disclosed in its quarterly filing with the Securities and Exchange Commission that a hacker claimed in late July 2016 to have obtained certain Yahoo user data. The company said it investigated the claim and could not substantiate it. Yahoo confirmed on Sept. 22 that data such as names and birth dates associated with at least 500 million user accounts were stolen in late 2014. "The security Incident did not have a material adverse impact on our business, cash flows, financial condition, or results of operations for the quarter ended September 30, 2016," according to the filing. Verizon Communications on July 25 agreed to buy Yahoo's advertising and search businesses for $4.8 billion. The telecommunications giant is currently evaluating whether the security breach has impacted the value of Yahoo.